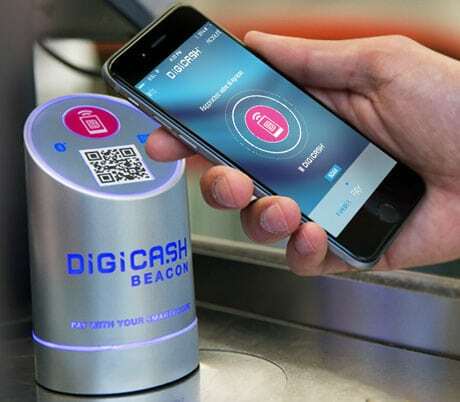 Supermarket chain Auchan is installing Digicash Bluetooth and NFC payment beacons at checkouts at its hypermarket in Luxembourg to enable shoppers to pay for purchases and collect loyalty points with their mobile phone. The rollout by Auchan follows a pilot test of the bank-led mobile payment service, which uses SEPA credit transfers to draw funds for purchases directly from the customer’s existing bank account. Four banks are supporting the service at launch: Banque et Caisse d’Epargne de l’Etat (BCEE), Post Luxembourg, Banque Internationale à Luxembourg (BIL) and BNP Paribas. “Loyalty accounts are automatically topped up by the Digicash app at each payment,” the company explains. “Digicash combines mobile payments with the retailer’s own loyalty programme using SEPA account-to-account transactions as the underlying payment channel.